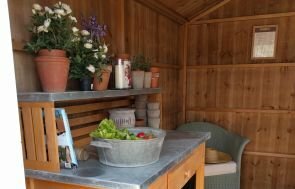 Located in Derby, Derbyshire this Blickling Shed with Logstore has been installed in our customer’s country garden to use as a garden storage area. 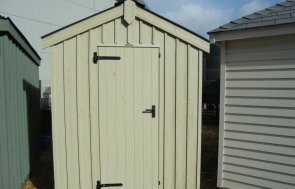 The National Trust range of Sheds and Summerhouses come in set sizes and this Blickling is 2.4 x 3.6m, the biggest size of this design we make. Features of our National Trust sheds are applied strategically to achieve a traditional look including: corrugated sheeting on the roof, a set of Georgian-style windows, black cast iron door furniture, and vertical sawn boards for the external cladding to give a rustic, country feel to the outside. 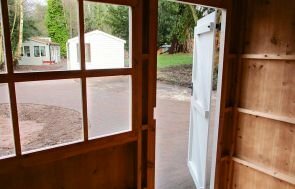 Every building is delivered and installed free of charge by our team of professional fitters as part of our end-to-end service. Our newest Stokeis situated less than an hour away and we have a number of different size and style buildings on display there. Our team are on hand to offer any advice or help you create the right garden building. 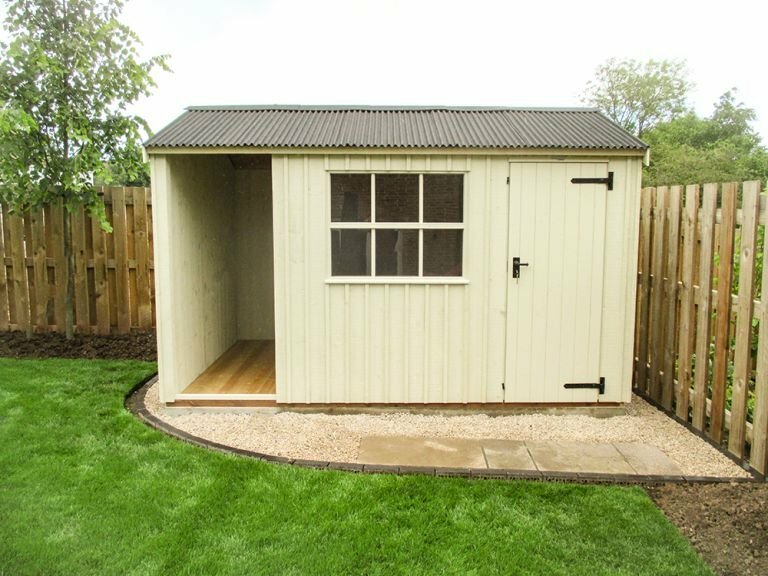 For more information on our Garden Sheds, please send us an online enquiry with your questions, or call us on 01760 444229 to speak to our helpful team. Alternatively, create your own bespoke garden building using our online price builder.